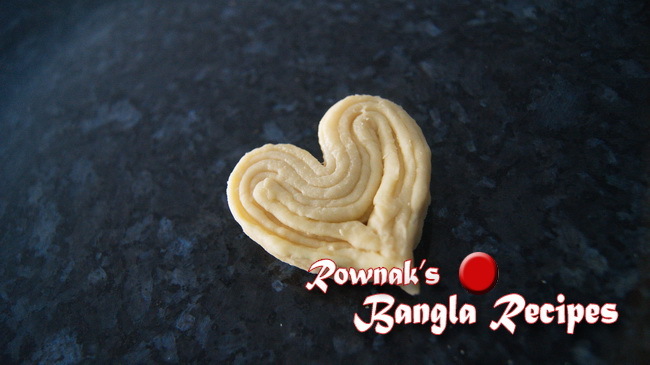 Hridoyhoron Pitha is heart shape Pakon pitha soaked in evaporated milk. It is beautiful pitha with great taste. You can use coconut milk instead of milk for more flavour. If you like my recipe, please please like facebook page or join facebook group to keep in touch with me. 1. Make sugar syrup to use 1.25 litre water and let it keep aside. Because we will need lukewarm water. 2. 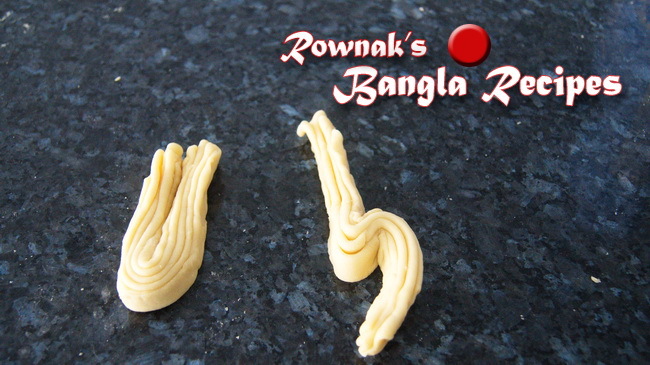 Boil plain flour in 1 cup water and salt. Remove from heat and let it cool down. 3. Mix egg(add little by little, sometimes you don’t need all of it) and ghee with the dough and knead well. 4. Divide the dough 10-12 balls and roll each ball into thin flat bread(make all possible). 5. 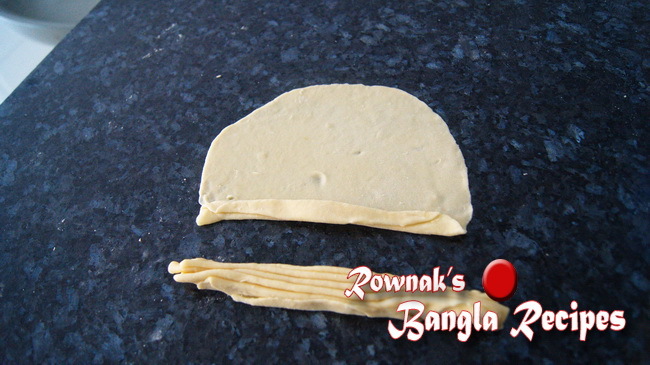 Fold the flat bread as paper fan and fold in half. Seal inside of close end with wet finger; fold the open edges opposite way to make heart shape and seal with water and cut excess part(check the video or photos). 6. Heat oil when oil is ready, fry the pitha on low heat about 12-15 minutes till it becomes golden brown. 7. Soak straight into syrup and soak it 3 hrs(in this stage you literally get Pakon pitha, you can have it as Pakon pitha, but for taking the heart you need to bit more ). 8. Boil milk with cardamom pod till it becomes half in amount; add sugar and remove from heat when sugar dissolves. 9. 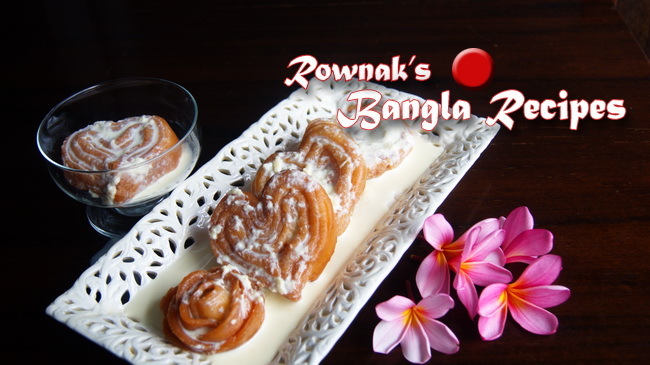 Enjoy Hridoyhoron Pitha with 1 tbsp of malai chilled. 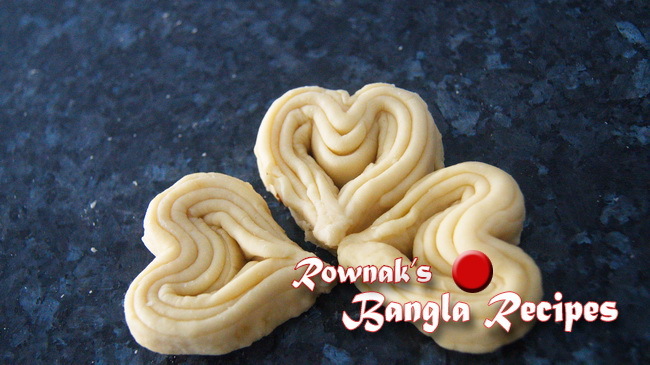 I was looking for this pitha recipe,thanks very very much.